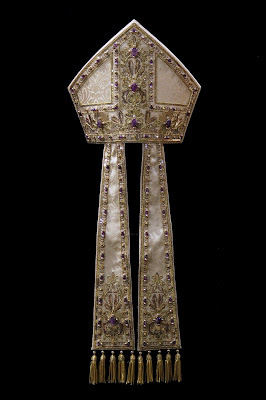 Pope Benedict XVI and Msgr. 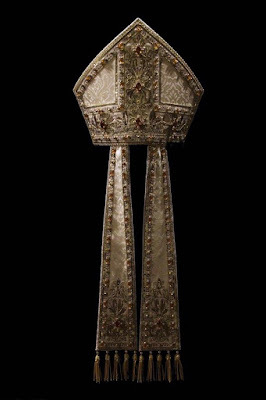 Guido Marini were known for their both/and approach to vestments which sought on the one hand to re-open the treasures of baroque splendour, while on the other to utilize other styles from other periods. 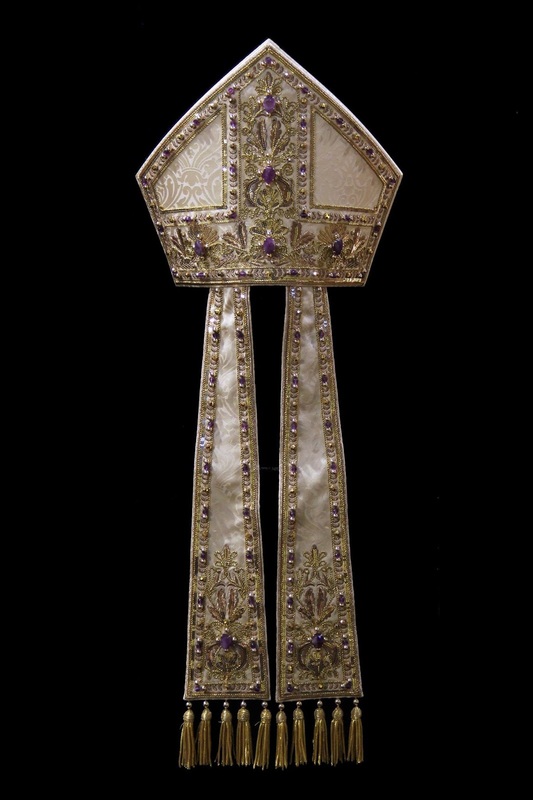 This was a purposeful approach intended at reconciliation, but the key was that whatever form they took, the vestments should be dignified and manifest noble beauty. 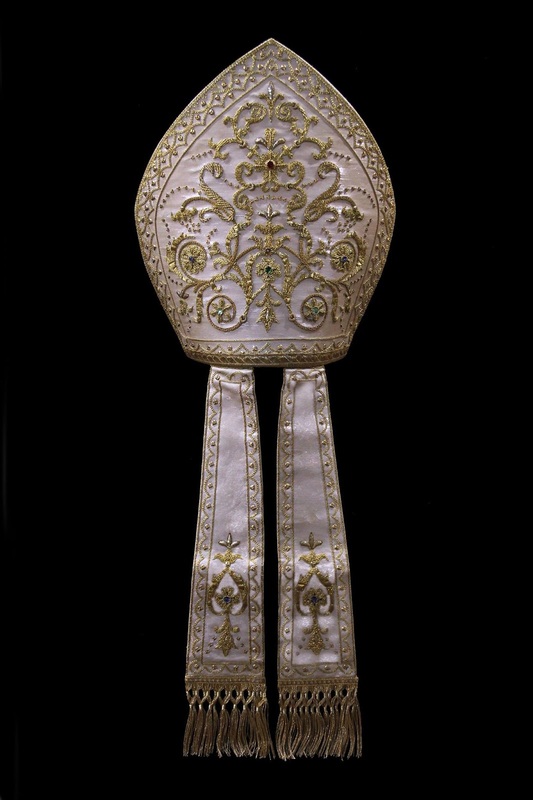 One of the firms that the papal sacristy patronized was Atelier LAVS which is based out of Santarcangelo di Romagna, Italy. 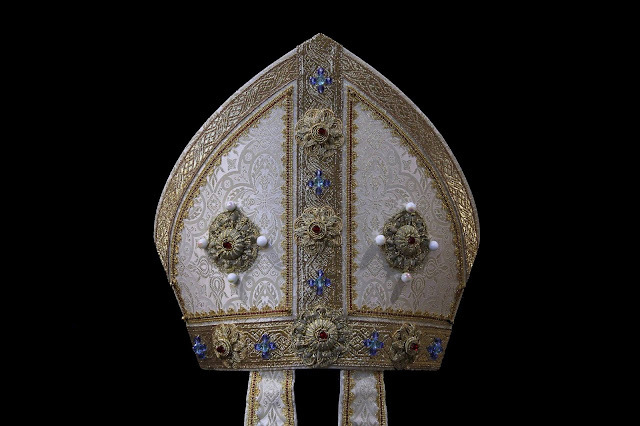 Much of LAVS' work is of medieval inspiration though they are not adverse to trying their hand at baroque forms either -- and this both/and "Benedictine" approach is something I particularly appreciate. Where LAVS excels, at least in my own estimation, is in two areas. 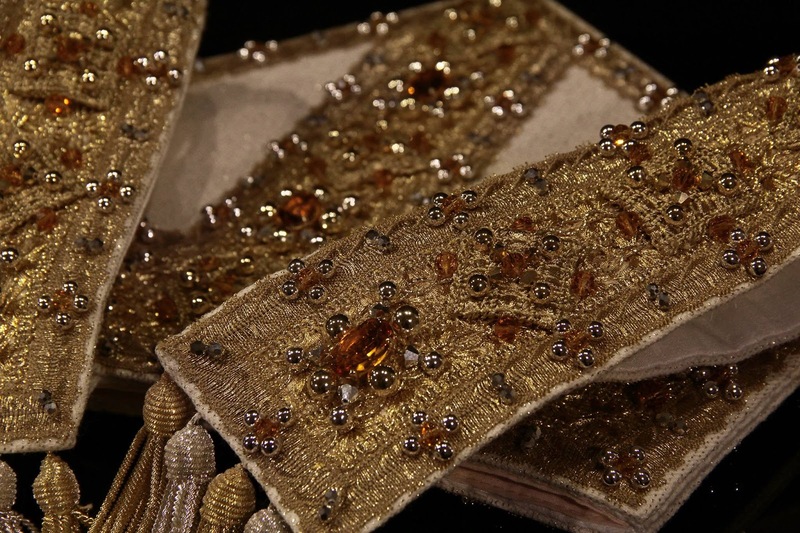 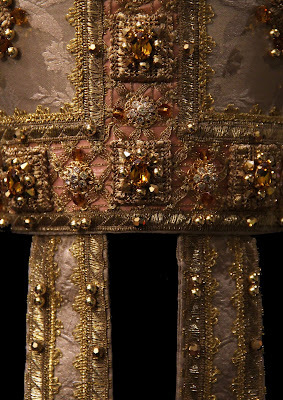 The first is in their medieval-inspired beadwork and stone work. 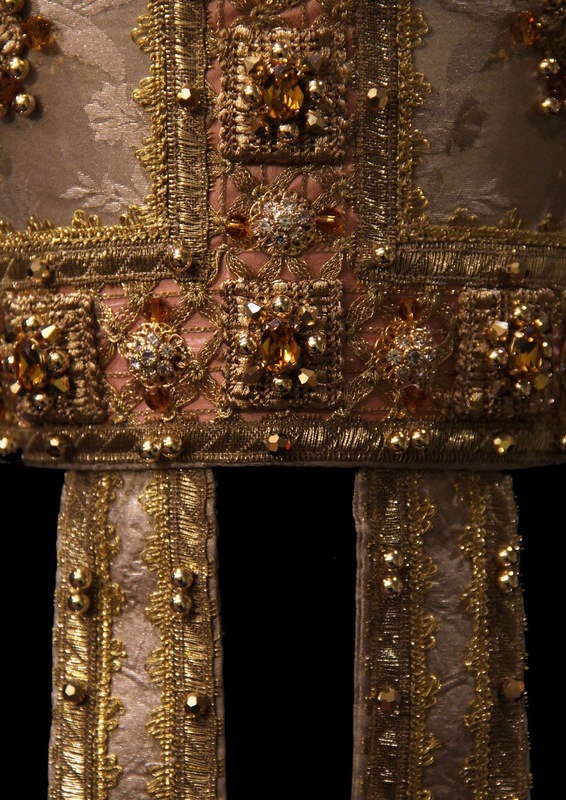 (I spoke recently of the importance of textures in vestment design and how it adds layers of interest, not to mention play of shadow and light, and this is certainly another manifestation of that.) 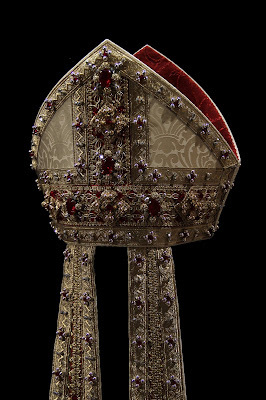 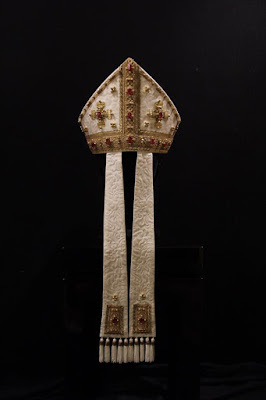 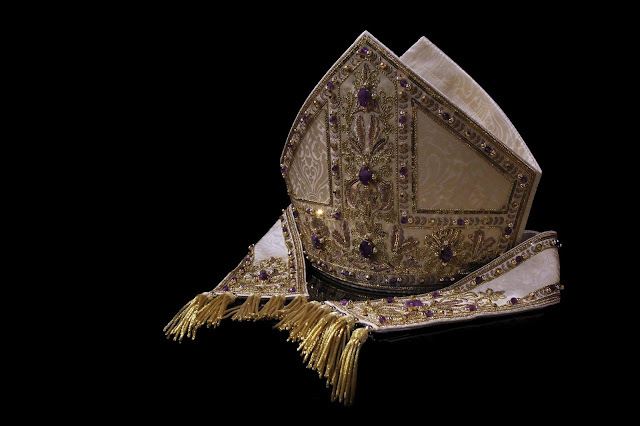 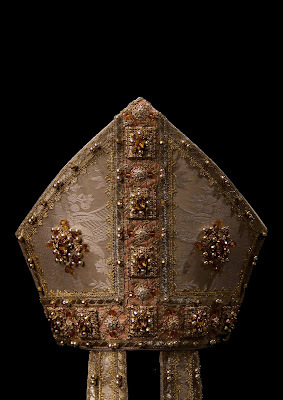 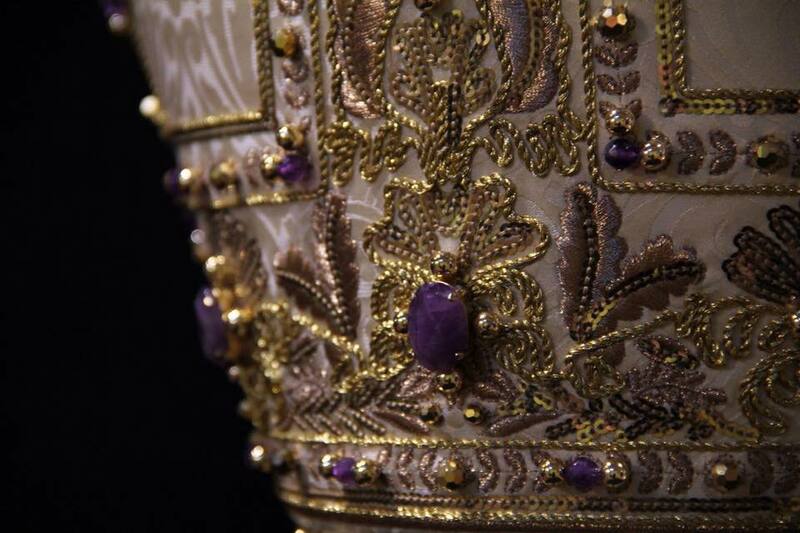 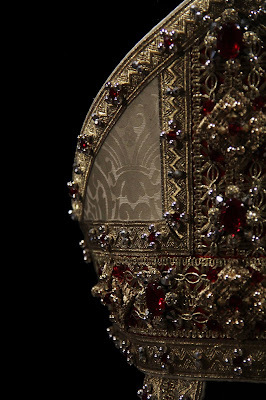 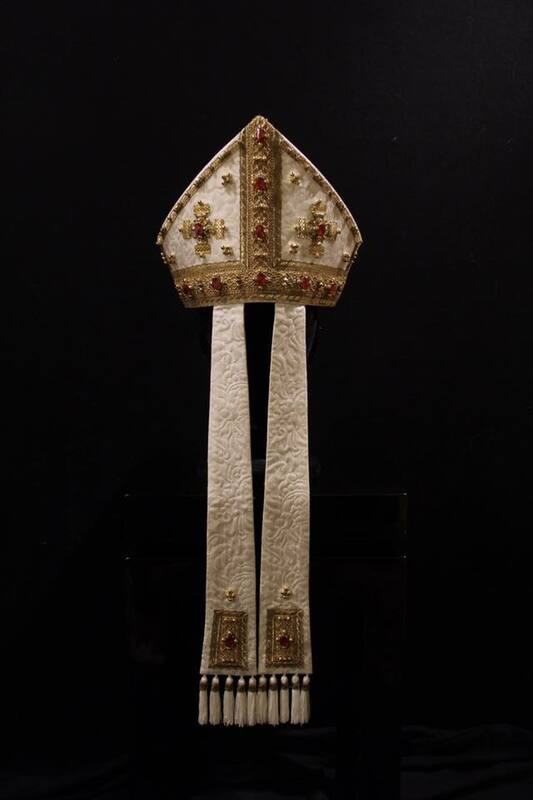 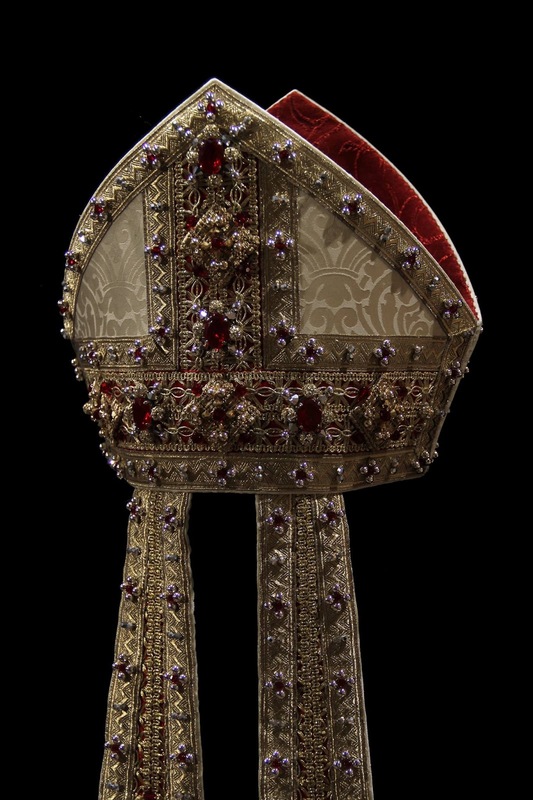 The second area in which they excel is in the realm of the design and execution of precious mitres -- and that is what I wish to focus on here in this particular post, returning in another to their other vestment work.